Videogames are a powerful medium that curriculum designers can use to create narratively rich worlds for achieving educational goals. In these worlds, youth can become scientists, doctors, writers, and mathematicians who critically engage complex disciplinary content to transform a virtual world. 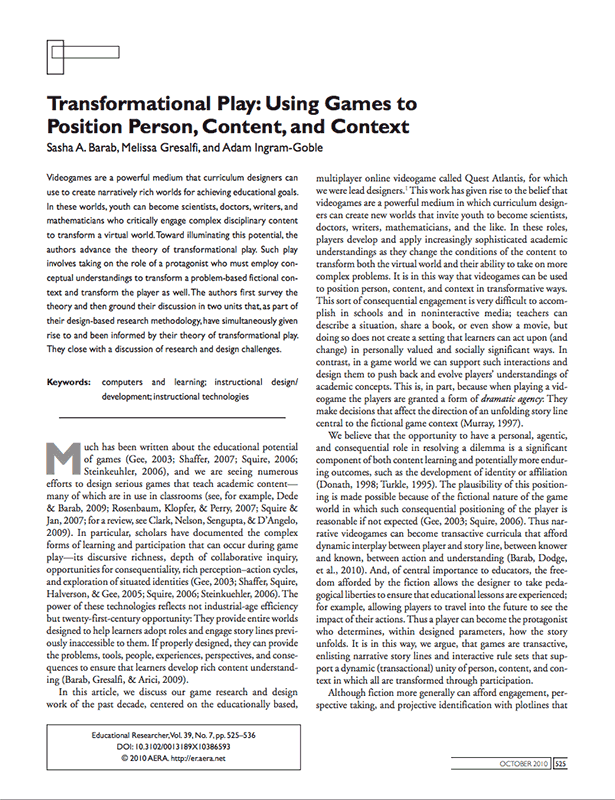 Toward illuminating this potential,we advance the theory of transformational play. 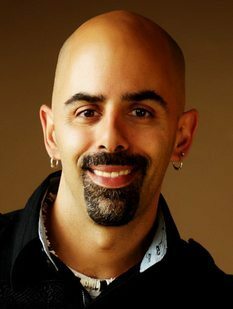 Such play involves taking on the role of a protagonist who must employ conceptual understandings to transform a problem-based fictional context and transform the player as well. Here, we first survey the theory and then ground the discussion in two units that, as part of our design-based research methodology, have simultaneously given rise to and been informed by their theory of transformational play. This appeared in Educational Researcher.